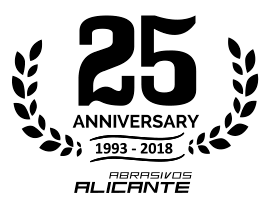 Abrasivos Alicante has designed and implemented our own System of continuous improvement and quality management that we are currently executing. Our production systems are based on the LEAN MANAGEMENT SYSTEM (SGL) achieving great flexibility, high quality and response times very adjusted to the needs of our customers. 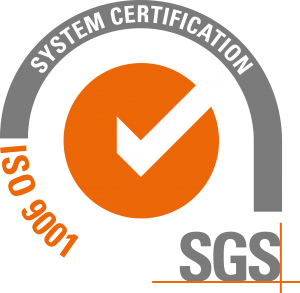 All these production and quality management processes have been certified and guaranteed since 2012 with the ISO: 9001: 2015 standard, audited by approved external companies. At Abrasivos Alicante, experience has taught us that values ​​are the heart of every company and the basis on which we work day by day with our clients and “partners”. The Management is firmly committed to lead the Quality Management System, providing the necessary resources for effective management, supported by qualified personnel with experience and creative intelligence, and implementing systems with last generation machinery. Ecoembes is the organization that takes care of the environment through recycling and eco-design of packaging in Spain. Guarantee of confidentiality and privacy. Continuous training and constant information development for our staff. Professional advice on the composition, storage and transport of our products. 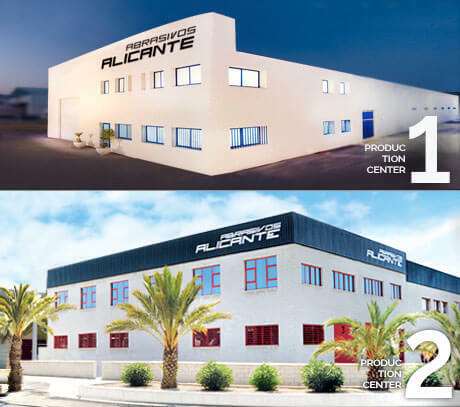 Abrasives Alicante has registered several patents among its catalogue of products. Abrasivos Alicante is committed to the SPAIN brand, and all our products are MADE IN SPAIN. Always working from the most human side, we create an environment of proximity and connection with our customers and suppliers, without compromising the truth. We work with honesty to meet their needs and expectations. We listen and offer solutions. We take care of their deal generating a prosperous and lasting relationship over time, based on trust. We strive to create a climate of camaraderie and friendship, where the respect, equality of opportunities and individual development of each employee is a reality. We work together to achieve common goals, encouraging the exchange of ideas and information. The quality, is our goal. The perfection, our way. We take care of every detail to always exceed the expectations of our customers and offer products with high performance and excellent quality. We optimize all our human and technical resources to provide fast answers and effective and precise results in each of our products and services. We accept changes as a necessary factor to boost growth and tackle each challenge with creativity, courage, collaboration and positive attitude.